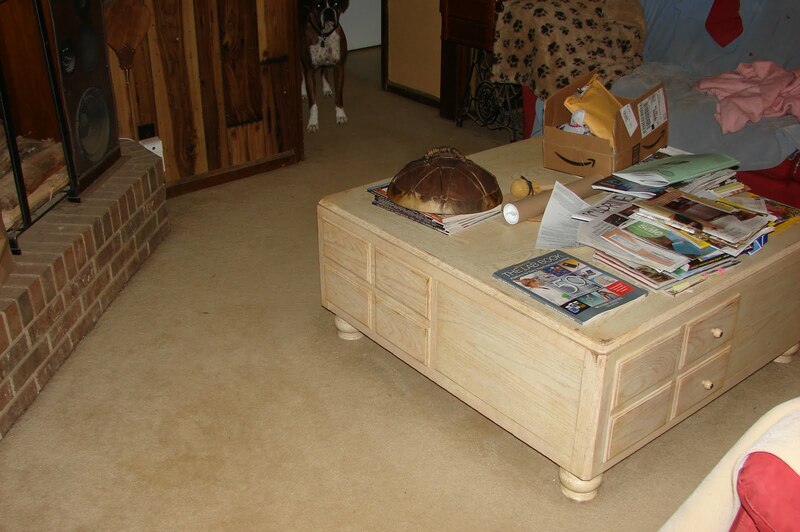 We have a square coffee table that extends into a major aisle where everyone can run into it. We’re a busy family with four dogs, two humans, and two cats. With this mix of family members someone is always either chasing or being chased. The table measures about 42 inches square and is about 18 inches high. Each corner has a drawer on it that is seldom used but we like the look. Although, we would gladly sacrifice one of the drawers to have one corner cut off. I’m thinking that the sacrificed drawer face could be used on the cut off part for design continuity and new legs could be turned to match the existing legs. We’d like for the re-designed area to match as much of the existing table as possible. The finish is a distressed white oak — worn, very worn or ranch rustic. We’re a working goat ranch and need tough stuff. 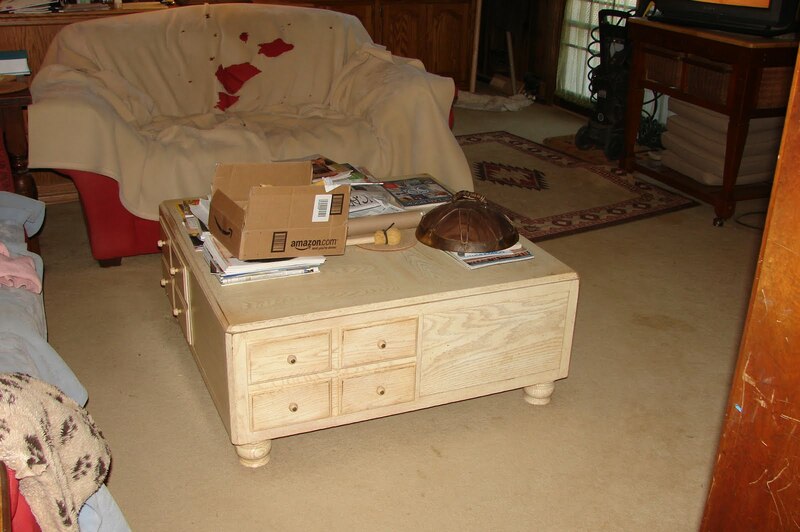 However, I eventually want to refinish this table to a turquoise washed effect because we are Native American fans and have decorated our home with many Native American artifacts. Ah … do you refinish furniture, as well? If so, this piece and a dresser in the bedroom both need to be refinished in a turquoise wash effect. I am open to design options if you have better ways of redesigning this table. Thank you for your consideration. I look forward to hearing from you about redesigning our table.